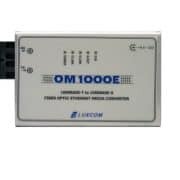 OM1001J | Luxcom Technologies Inc. 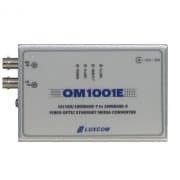 The OM1001J Ethernet media converter has one 10/100/1000BASE-T electrical port and one optical SFP port. 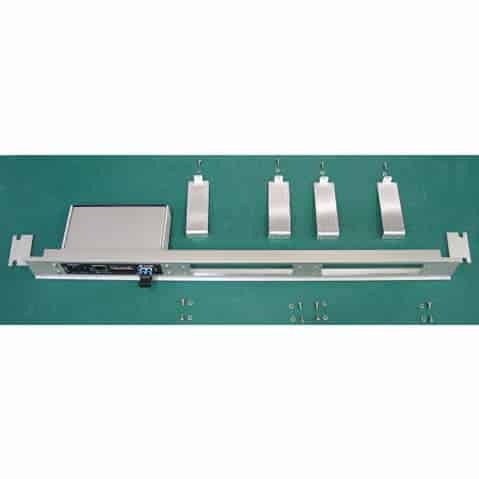 The SFP port supports a variety of wavelengths, optical speeds, and fiber types depending on which SFP module is installed. Both 100BASE-X and 1000BASE-X optics are supported. A signal strength bar graph shows the received optical power. All connectors and switches are on the front for easy access. 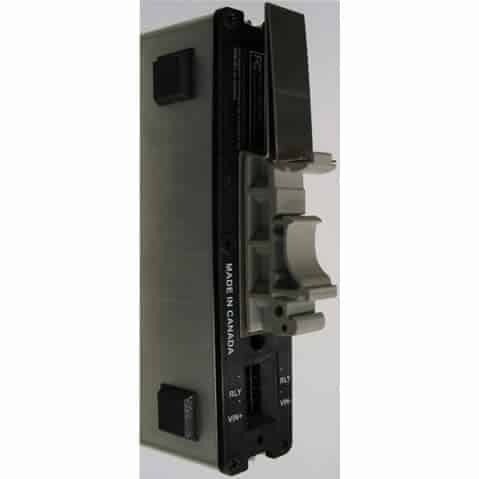 The dip switch enables manual or auto configuration. 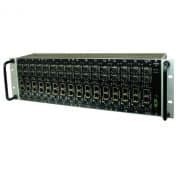 The power inputs accept 5 to 30 VDC from an external power cube (one supplied). 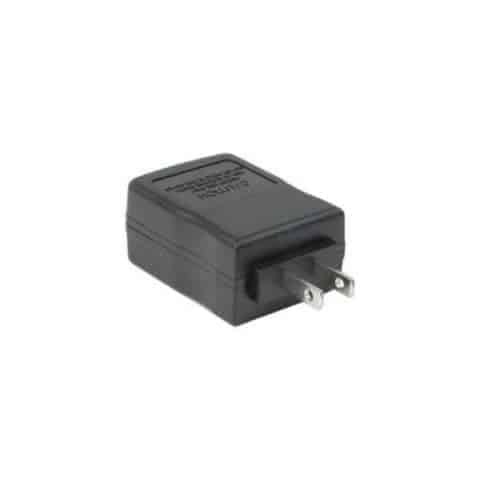 A secondary power supply connection is available. 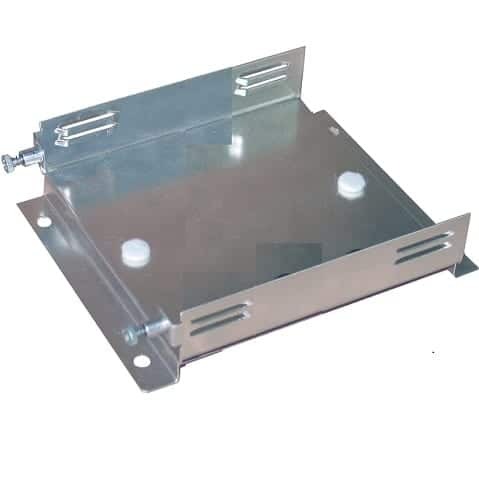 The OM1001J is enclosed in a rugged metal case for low radiated and conducted emissions. 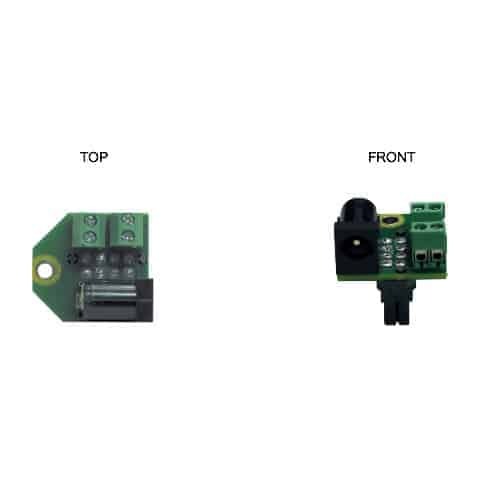 The optical link can be forced for unidirectional monitoring. 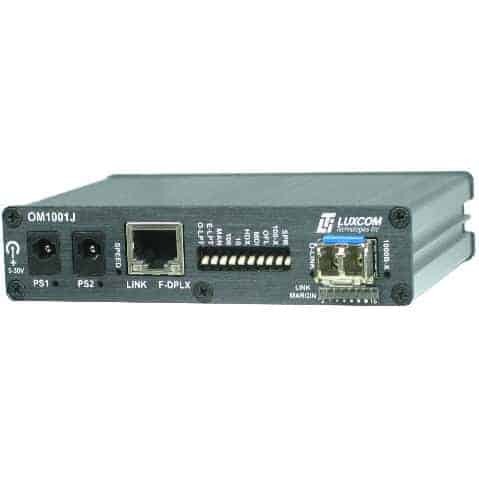 This Luxcom product is warranted against defects in materials and workmanship for a period of five years from the date of shipment..
Luxcom will, at its option, repair or replace products that prove to be defective during the warranty period provided they are returned to Luxcom.. Repairs necessitated by misuse of the product are not covered by this warranty. Registered Luxcom customers can access all product manuals. Luxcom accessories are available for online purchase soon. Copyright 2019 Luxcom Technologies Inc. All Rights Reserved.